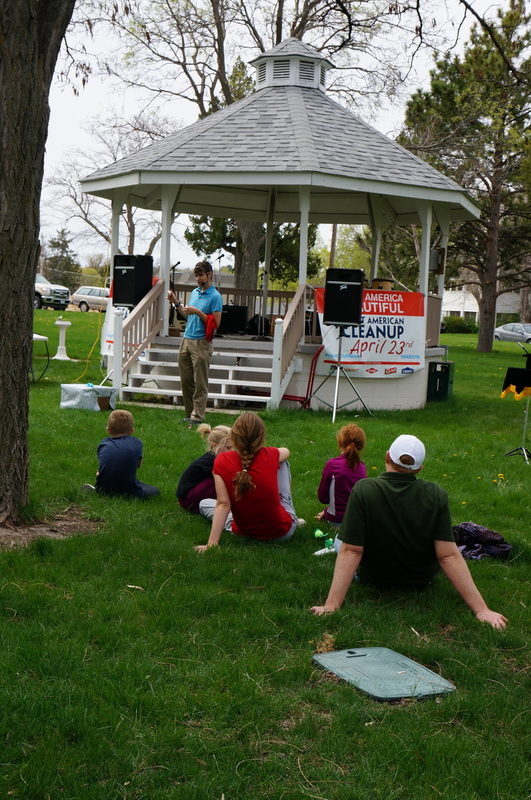 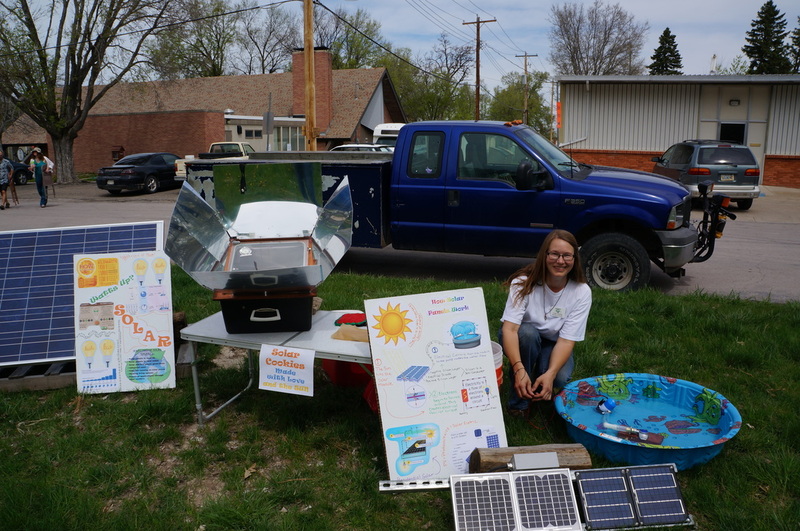 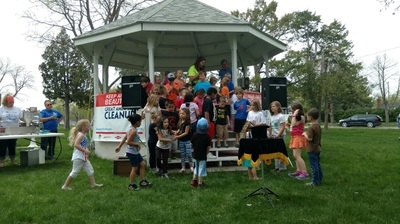 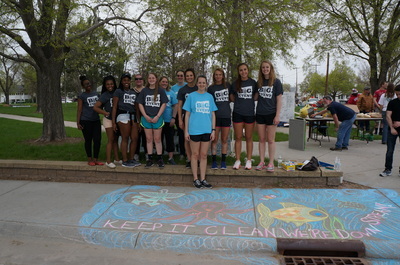 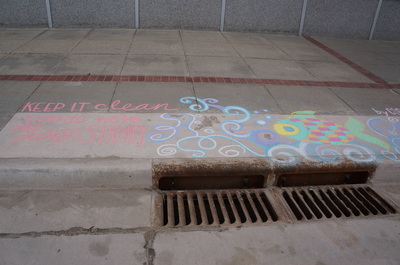 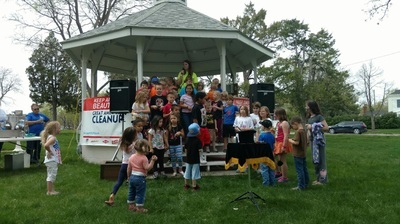 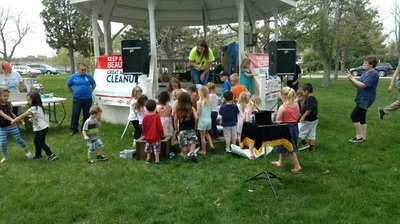 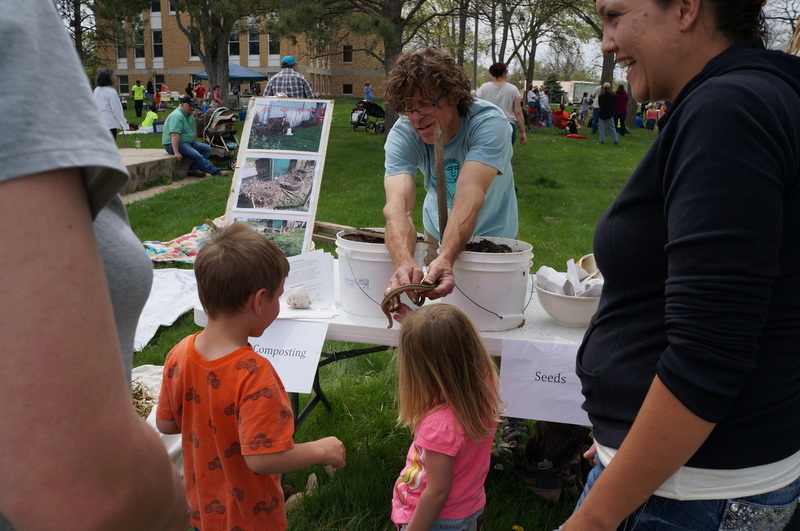 Thanks Everyone Who Made Earth Day a Success! ​A huge thanks to all our volunteers and booth hosts! 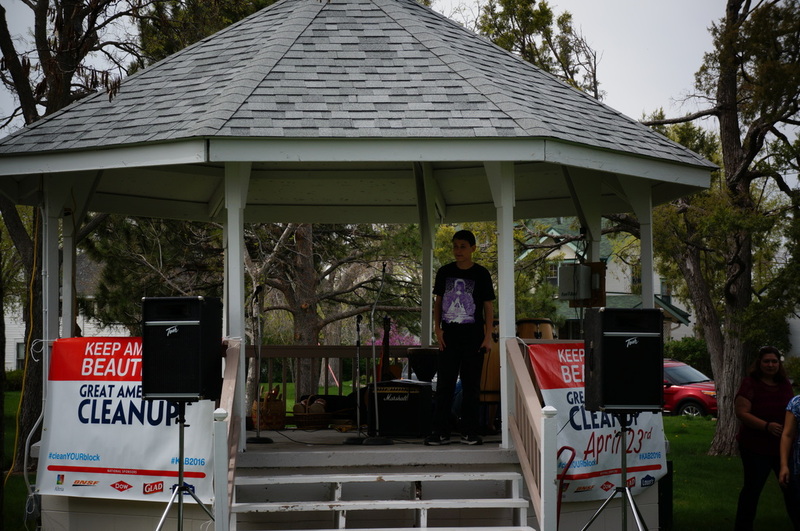 We had a great turn out for the Great American Clean Up. 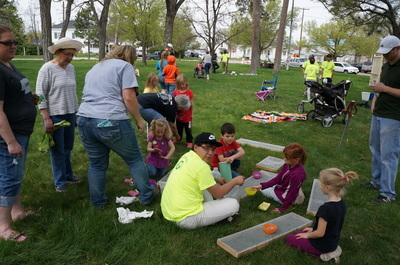 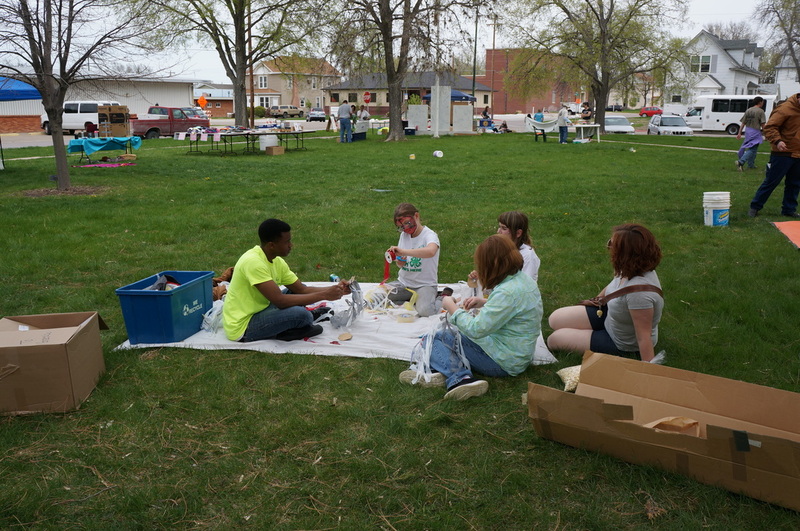 On the morning of Earth Day over 100 people volunteered to pick up litter around town. Between the community clean up and school clean ups, all of Kenwood and a majority of streets in Chadron have been picked up. 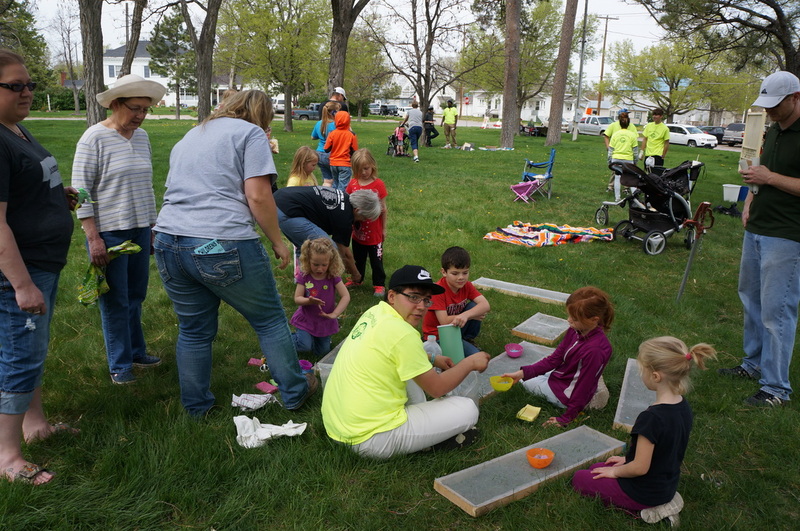 Three parks and the baseball and soccer fields were also complete. 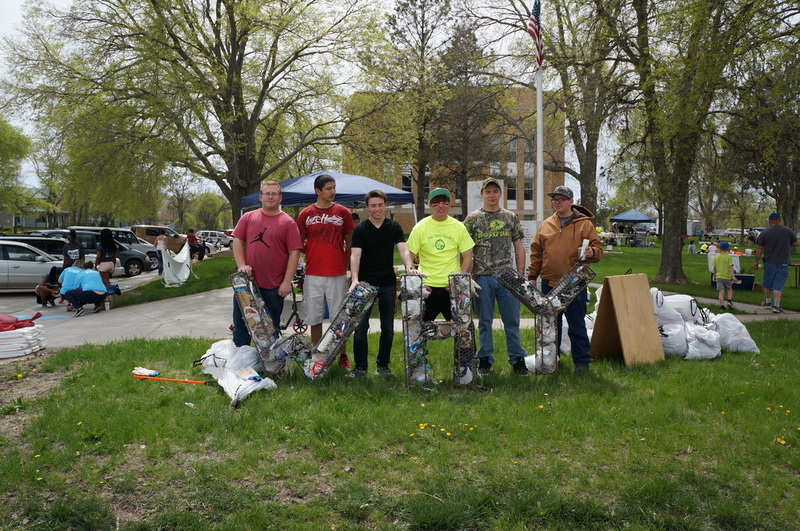 We'd like to congratulate the community. 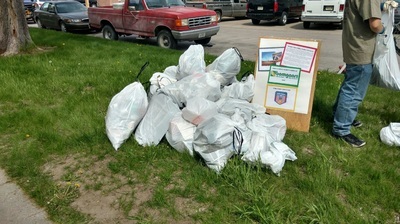 We had many volunteers report a reduction in litter compared with past years!! 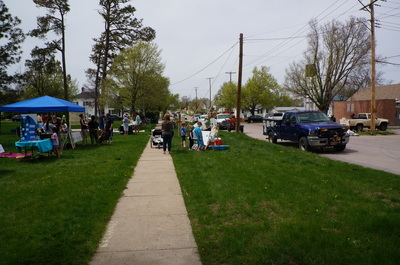 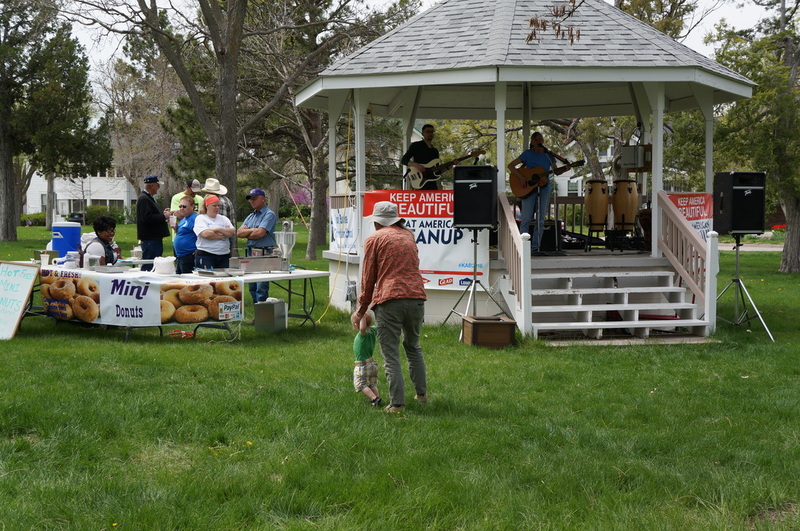 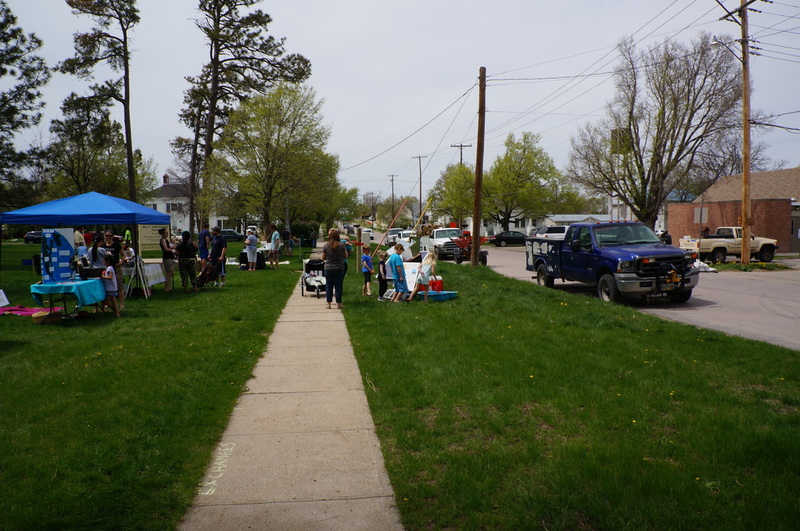 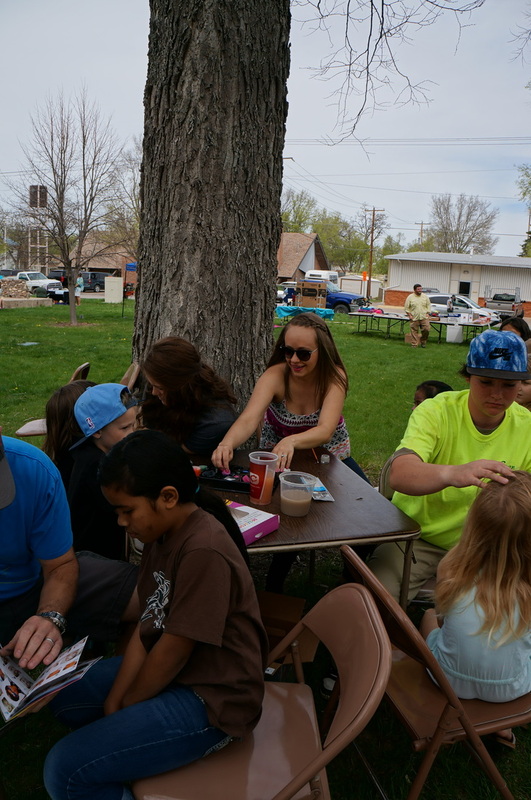 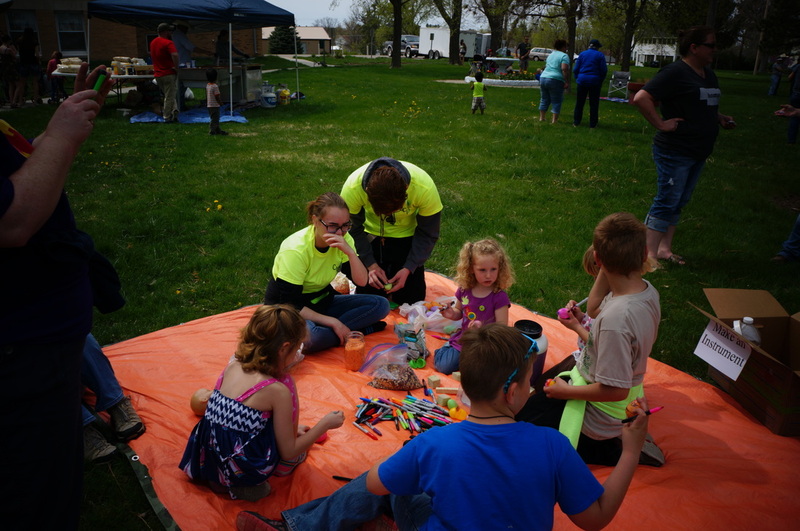 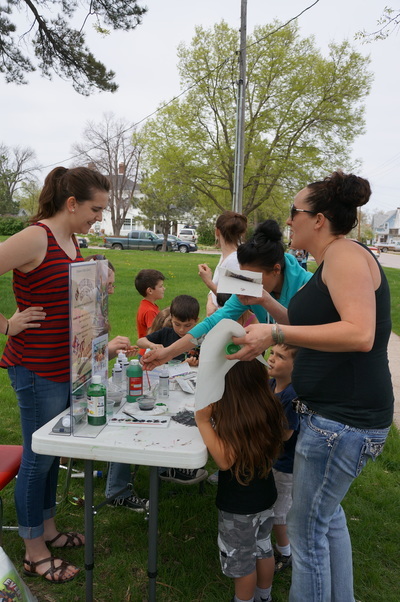 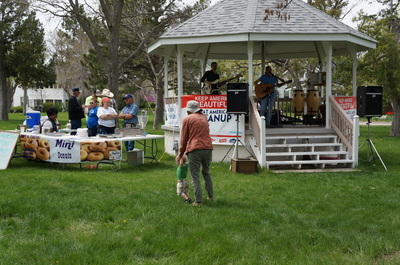 We were blessed with great weather which meant hundreds of people were able to learn and enjoy the Earth Day Festival. Check out the picture above of the "ReUse Carnival" ran by fabulous volunteers from CHS Interact Club. (Thanks Pine Ridge Job Corps, Chadron Lumber and Nate Smith for building our fabulous booths! ) Kids also seemed to really enjoy the blender bike from Dawes County Extension, the rangers from Hudson-Meng and Agate Fossil Beds, electrocuting themselves on the wind turbine brought by King Canyon Kitchen and natural dye with Ta-Da Art studios. ​A huge thanks needs to go to Chadron Chamber of Commerce for donating the prizes and face paint for the carnival; Prickly Pear Sierra Club for monetary support and hosting an information booth; Pine Ridge Job Corps for continued support; Shawn Marie and Friends for wonderful music; Upper Niobrara NRD for free trees; the Citizens Climate Lobby and the United Church of Christ ladies for all your help; SWANN and Nebraska Department of Environmental Quality. Subscribe: Get our latest news and events sent right to your inbox!